Saltwater fly fishing and Murphy’s law. 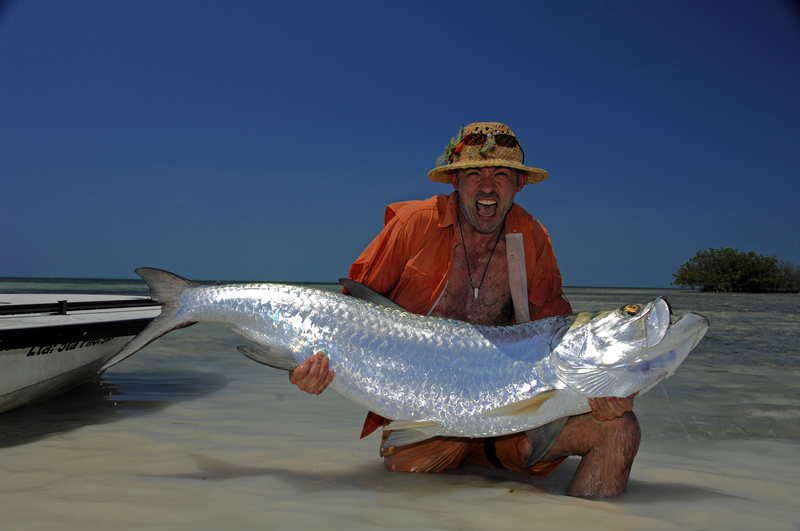 It’s the beginning of March and the tarpon season in the Caribbean is getting better and better. For us Scandinavians this is some of the most thrilling fly-fishing experiences we can indulge in. We have gone through the harsh winter with snowstorms and 20 below zero, just waiting to get on that plane that will take us to paradise. Some twenty hours later we walk off the plane and suddenly find ourselves (with a skin tone white as the snow we left) standing on the front of a skiff, casting for rolling tarpon. Even the smallest fish can put you off your casting and it doesnt make it any easier when the guide shouts at you as if you were an idiot who have never held a fly rod in your hand. Unexpected thing always happens when you seek the ultimate saltwater fly-fishing experience.